A Sydney-based father-of-two has invented a genius device to stop children fighting in the back seat of the car. 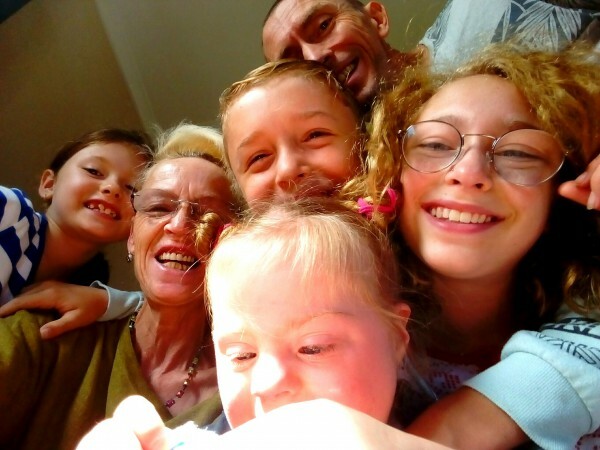 In September we shared the story of how dad of two, Mark Abay, 42, was inspired to create the ‘Backseat Carma’ after his kids fighting almost caused him to crash into the car in front. The clever tool retails from $139 and acts as a ‘backseat divider’ to ensure no scratching, biting or kicking occurs while in transit. Speaking to FEMAIL, Mr Abay shared the motivation behind his burgeoning business and explained why parents everywhere could use a Backseat Carma in their lives. ‘Every time we got in the car with our kids, they’d fight – it happened time and again which was leading to high stress levels and distracted driving,’ he said. The Backseat Carma is a safe and secure backseat divider that blocks kids’ reach and view of one another, eliminating the ability to fight in the car. The product is made from PU Foam, similar to the fabric of a mattress, and eco-friendly PU leather. Parents can secure the device with the middle seat belt without obscuring the drivers rear vision. We can now share with you the exciting news that the Backseat Carma is available to purchase NOW in Australia via the website – international shipping is also available. “With the Australian Summer school holidays fast approaching, this is the answer to stressful car journeys,” Mr Abay said. 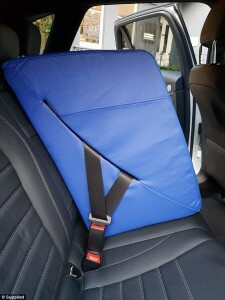 “We’ve also received a number of pre-orders from parents of children with special needs because it really does create safe, personal space for children in the car. It’s a fantastic feeling to know that we’re making car journeys safer and more enjoyable for families,” said Abay. There is nothing harder than trying to concentrate on the road when the kids are fighting in the backseat and you can’t do anything about it! Good on this dad very creative and inventive and may save lives from distraction. Haha, love it for those with more than one child. Not needed in our home as we only have one son but I know many who would love this. A clever idea for those who need it! I only had one kid. Its always quiet back there. $140! You could make it from a cardboard box and it’s recyclable!! Hmmm I’m not sure how long cardboard would last in our car….probably about a day! Lol, think so too ! Mine do fight in the car but I like that they are interacting. Some very special memories have been of them playing and joking in the back seat. Not one for us but I bet they will sell like hot cakes! Good luck, I’m sure he will sell a lot, wonder how it would pass safety standard wise for car seats. I know they say not to use after matket accessories a limit loose objects as they can become a projectile. It’s a good thing it securely seatbelts into the backseat then! It’s a good idea, but might make it harder to teach kds good behaviour. It’s a great idea, especially when driving can be quite stressful in normal situations…. but how r kids ever going to learn to get along? Will this be in the car when they r in their teens? Great job with the invention! My hats off to u.